Isiah Factor | The Insite » THE ROCKETS MOVE ONE STEP CLOSER TO VICTORY! THE ROCKETS MOVE ONE STEP CLOSER TO VICTORY! 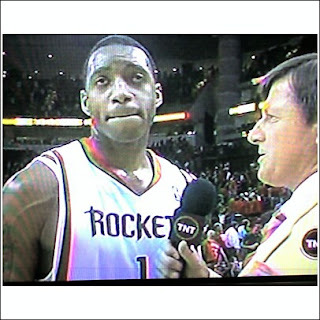 April 23, 2007 | Posted in Uncategorized | Comments Off on THE ROCKETS MOVE ONE STEP CLOSER TO VICTORY! AND WHY WON’T JEFF VAN GUNDY SMILE OR AT LEAST PRETEND TO BE HAPPY? The Houston Rockets walked over the Utah Jazz in the playoff series in Houston Monday tonight. The final score was 98 to 90. That means the Rockets have won two in the seven series match up so far. The next game is in enemy territory – Utah on Thursday! 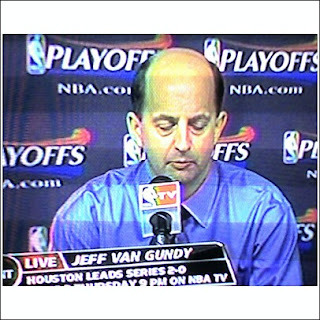 Side Note: Why isn’t Jeff Van Gundy ever happy? Please someone tell me why…I have never seen the Rockets head coach smile for anything. Let’s just say one year he coached the Rockets so well that they actually cross over and win the Super Bowl and the World Series in addition to the NBA title and I still think he won’t smile. Am I missing something?